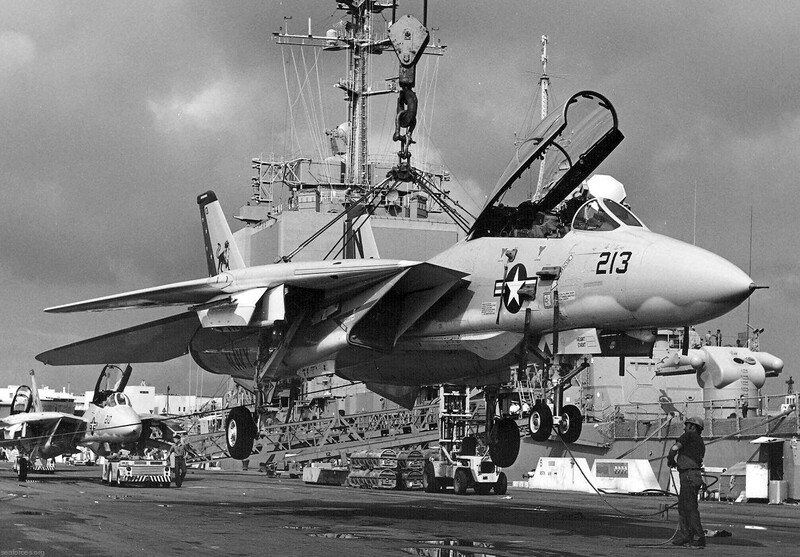 The last F-14 Tomcat aircraft to fly a combat mission arrives on board Sherman Field at Naval Air Station Pensacola, Florida. 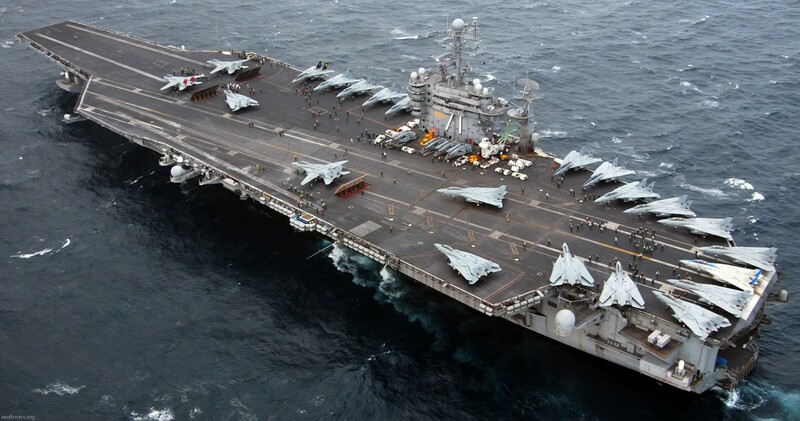 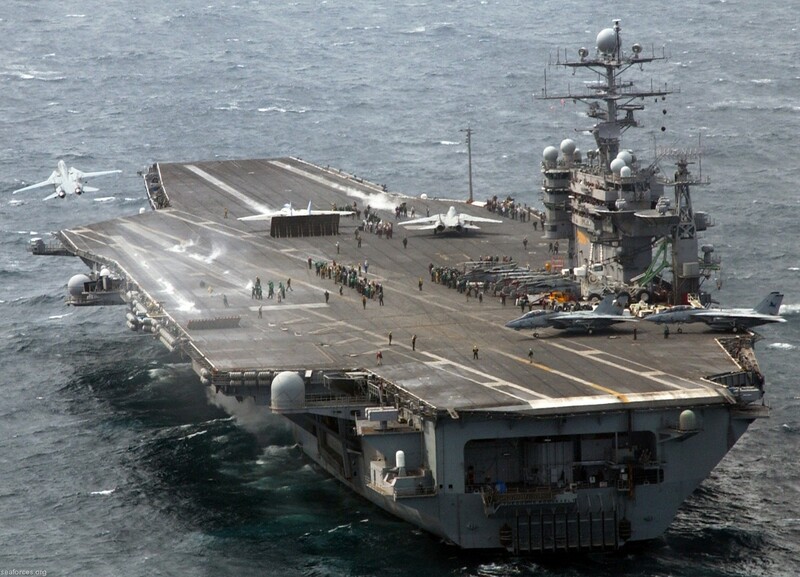 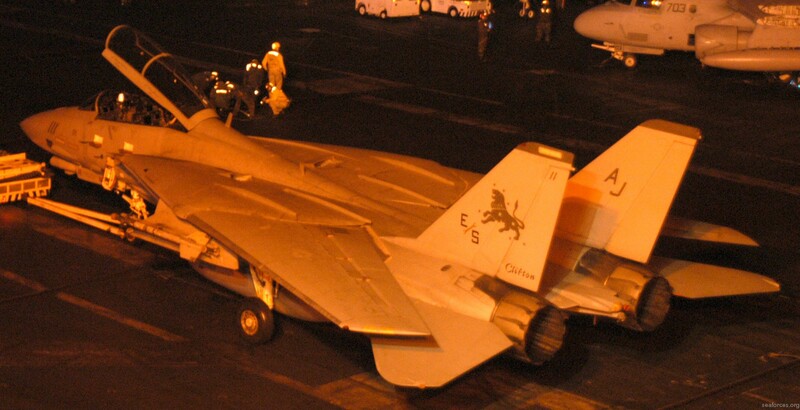 as part of Carrier Air Wing Eight (CVW-8), embarked aboard USS Theodore Roosevelt (CVN 71). 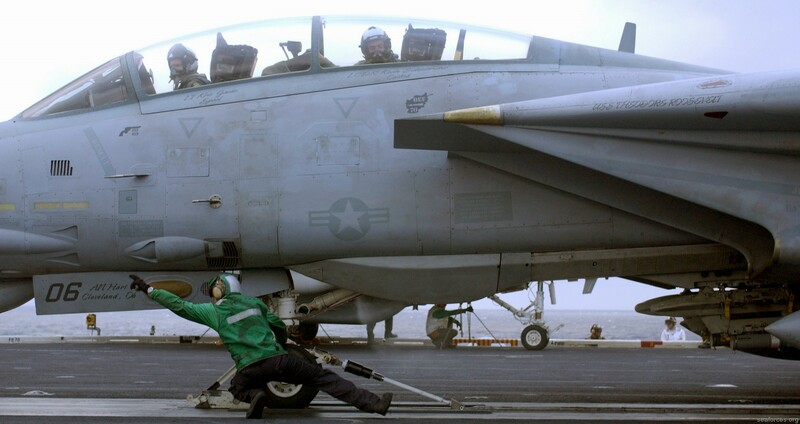 launch from the flight deck of USS Theodore Roosevelt (CVN 71) in aircraft number 201. 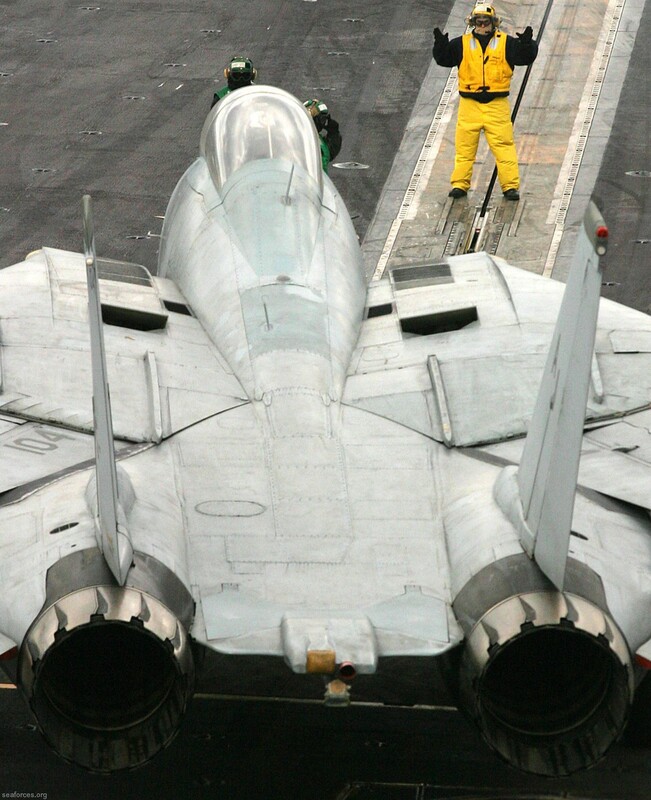 This marks the final launch of a F-14 on deployment. 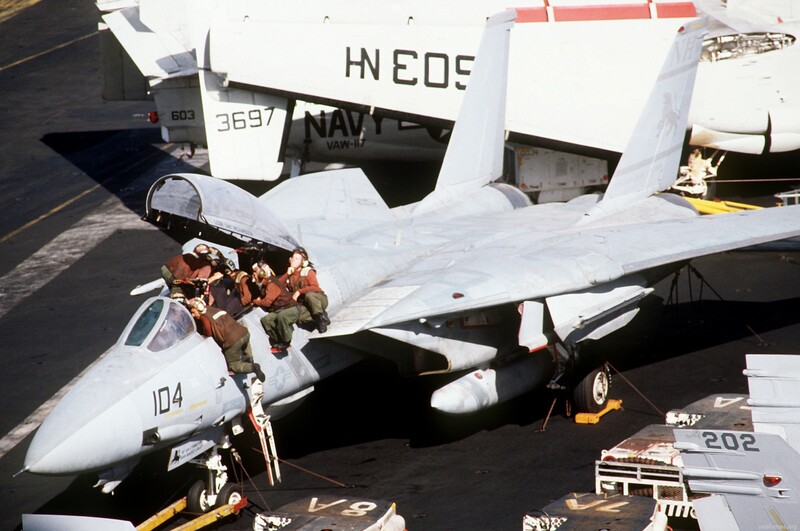 F-14D Tomcats launch from the flight deck of USS Theodore Roosevelt (CVN 71) to their homeport of Naval Air Station Oceana. 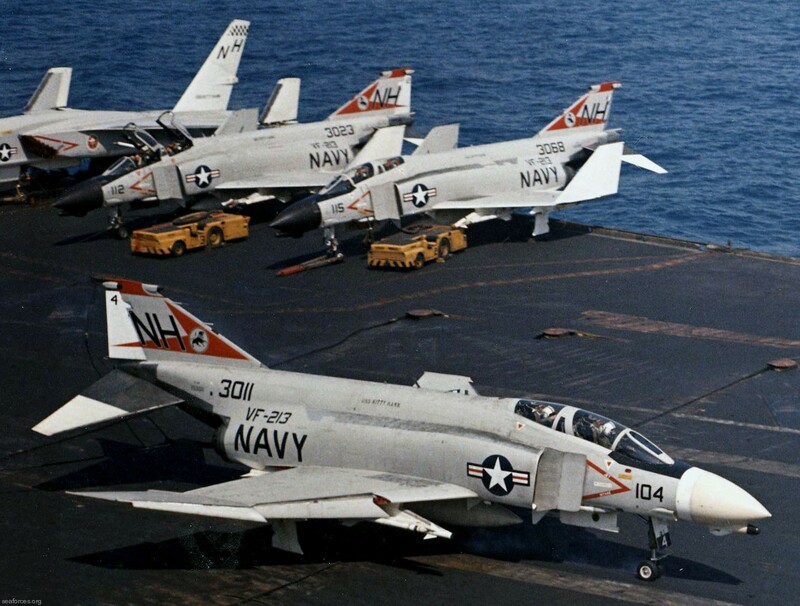 F-4G Phantom II (BuNo 150642) of fighter squadron VF-213 Black Lions about to be launched from the aircraft carrier USS Kitty Hawk (CVA-63). 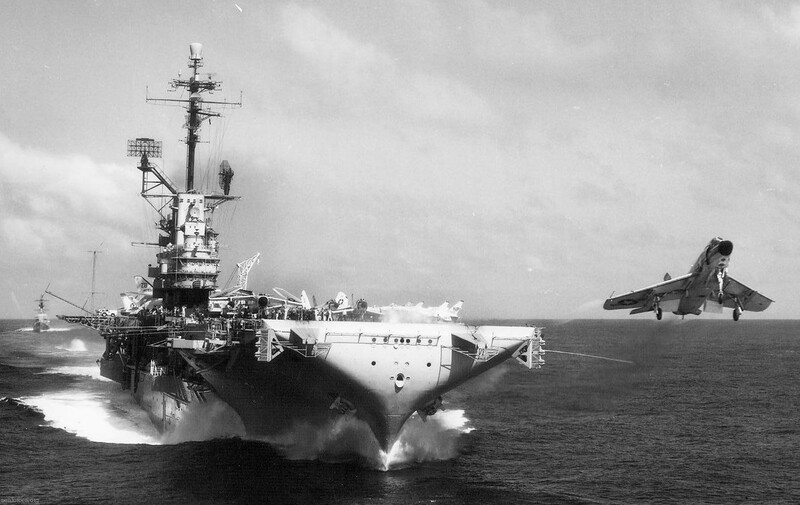 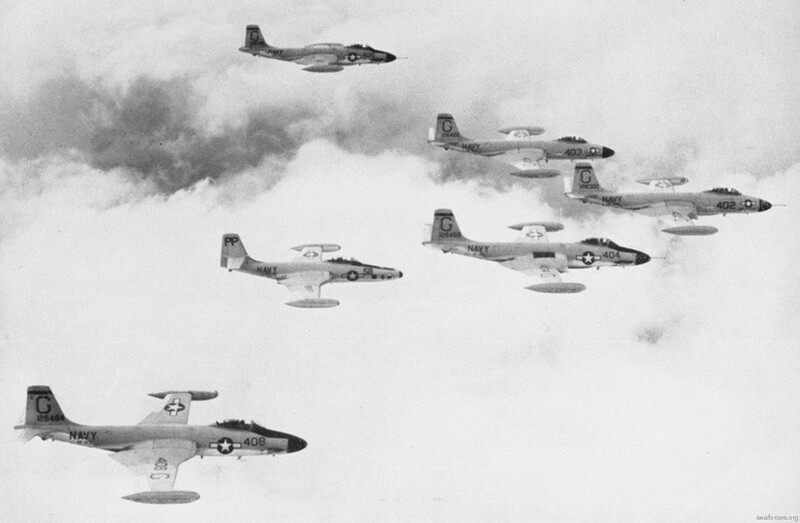 during a deployment to the Western Pacific from 16 August 1956 to 28 February 1957. 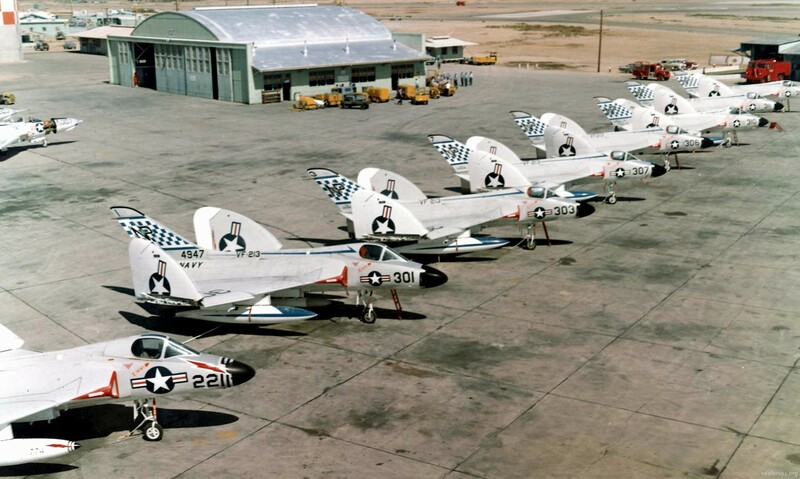 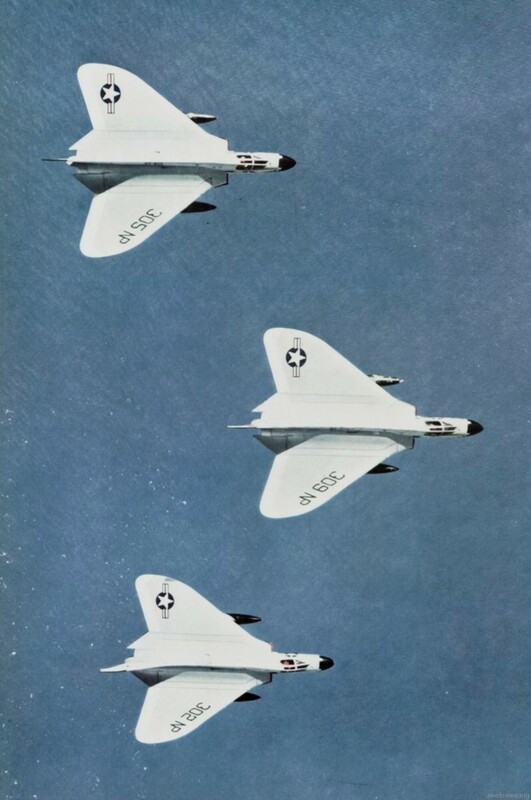 In June 1961, the squadron moved to San Diego , California where they were based at NAS Miramar, “FIGHTERTOWN USA .” Three years later, in February 1964, the BLACKLIONS took a huge step forward in fighter capability by accepting the first of their new F-4 Phantoms. 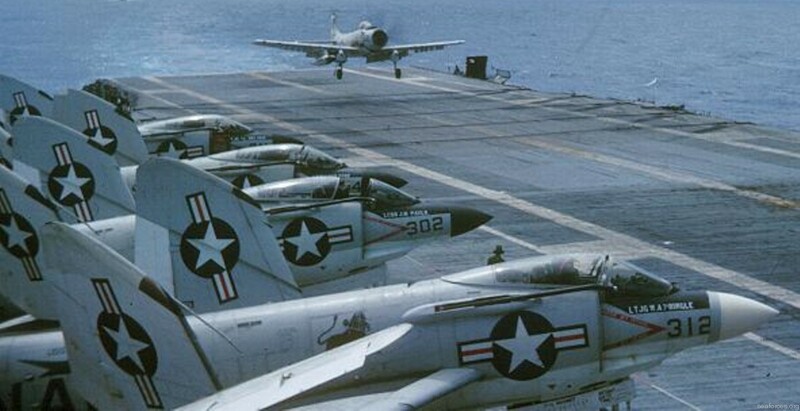 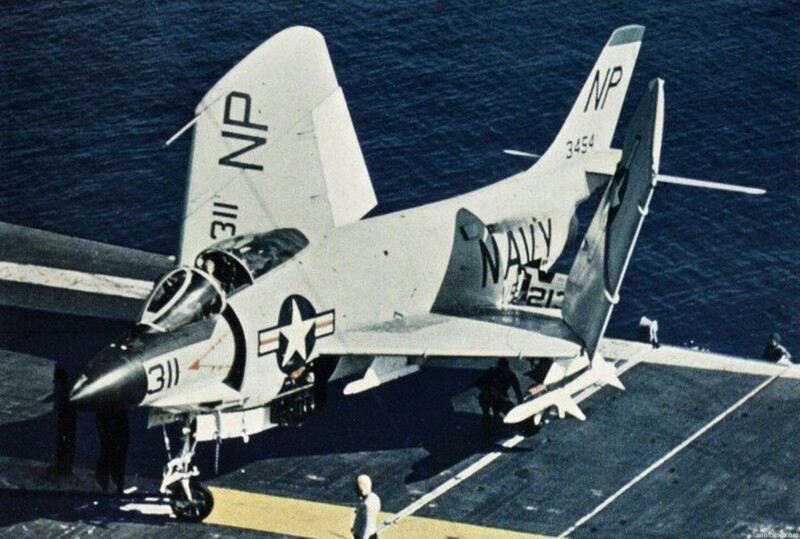 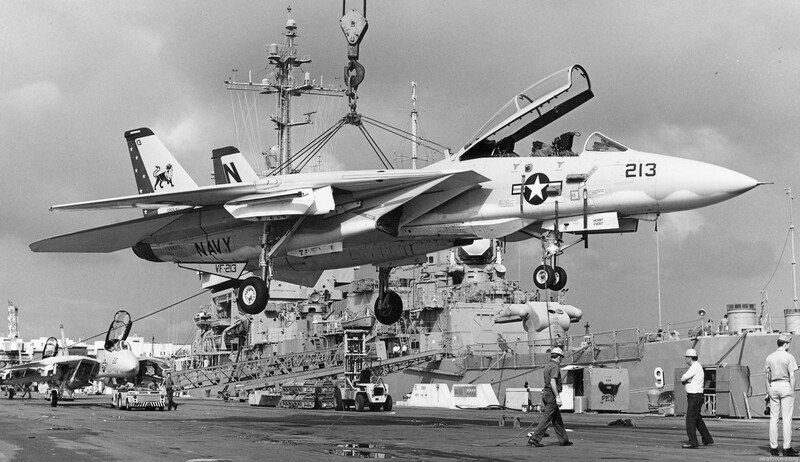 In November 1965, VFA-213 joined Carrier Air Wing 11 (CVW-11) and began the first of six combat deployments to the South China Sea aboard USS KITTY HAWK (CV-63) where they flew numerous missions over Southeast Asia in the Vietnam War. 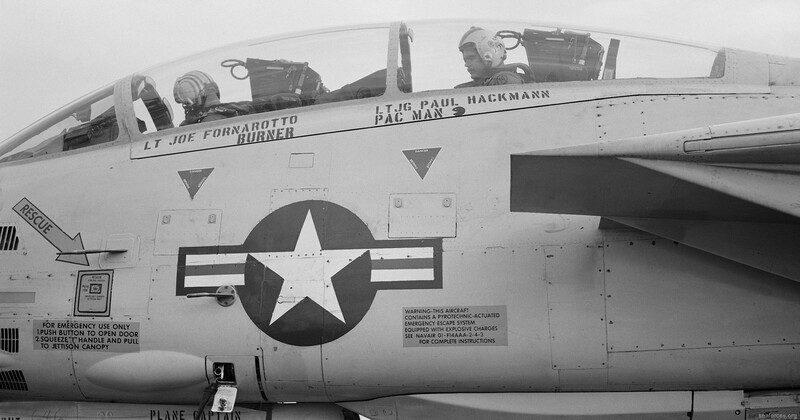 This deployment marked the first use of the Phantom as a conventional bomber, which was a role destined to make the Phantom a mainstay of the US Navy, Air Force and Marine Corps. 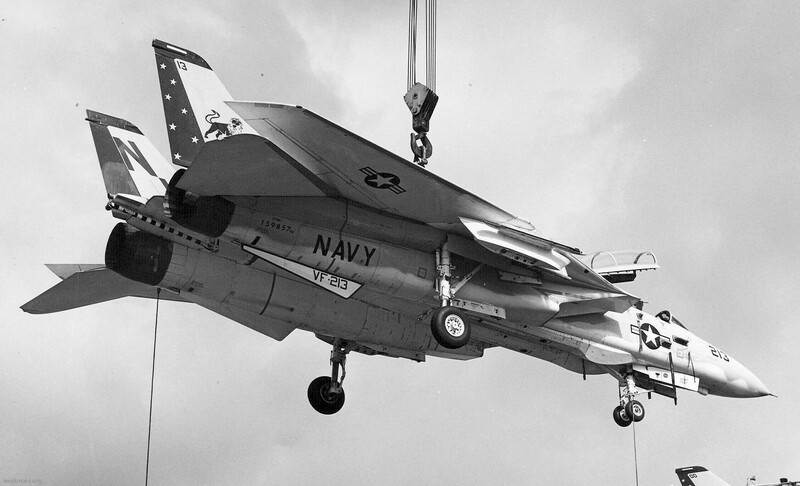 Throughout the war, the BLACKLIONS flew over 11,500 combat missions and delivered in excess of 6,000 tons of ordnance. 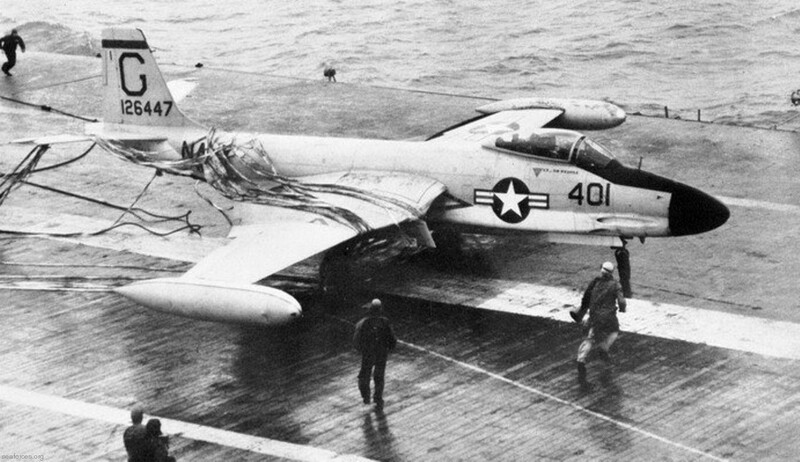 On 20 December 1966, LT D. A. McRae and ENS D. N. Nichols downed an enemy AN-2 Colt for the squadron’s first kill. 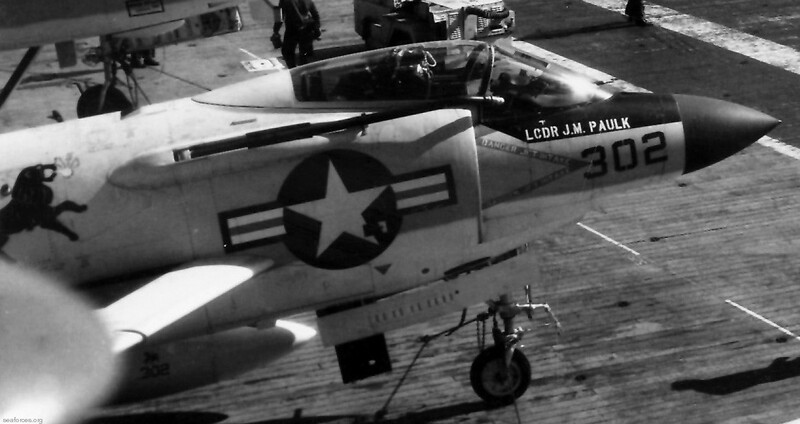 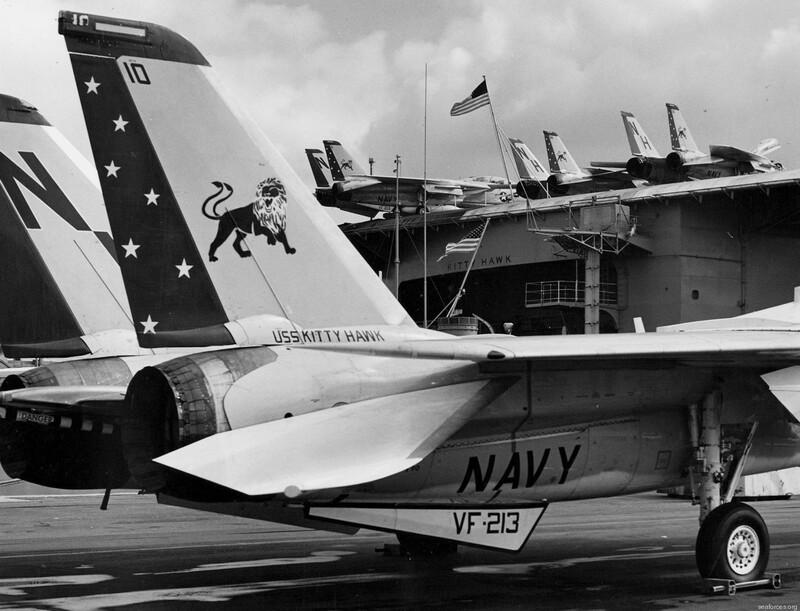 In March 1971, VFA-213 became the first fleet squadron to fly the Phantom more than 1,000 hours in a single month. 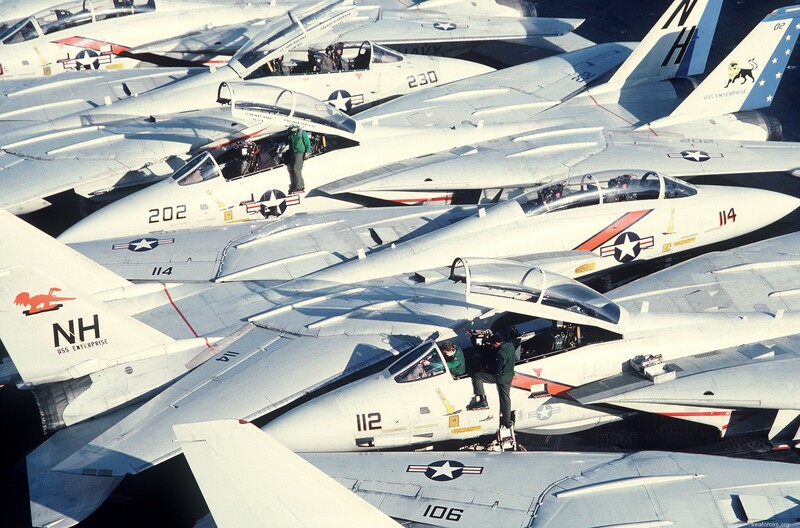 In 1992, VF-213 won the coveted “MUTHA” award for espirit-de-corps and took honors as the Pacific Fleet’s top fighter squadron when they won the 1992 Fighter Derby. 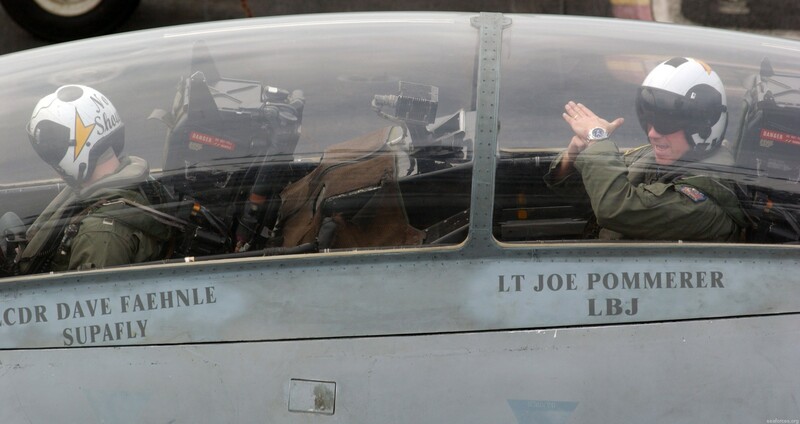 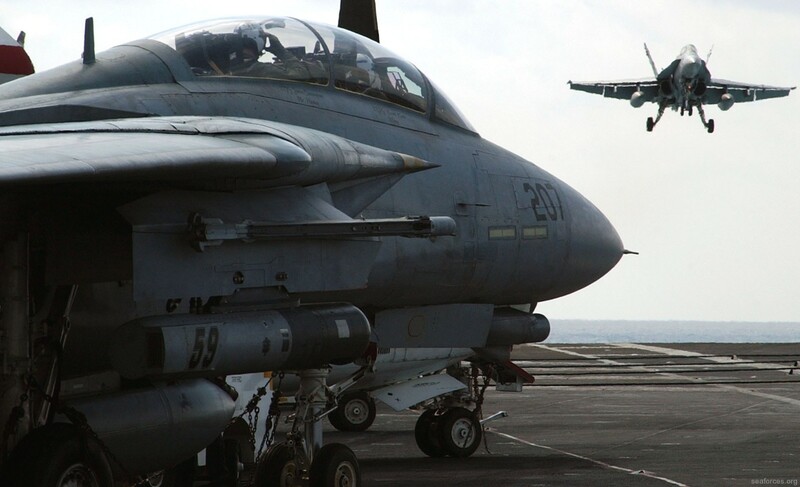 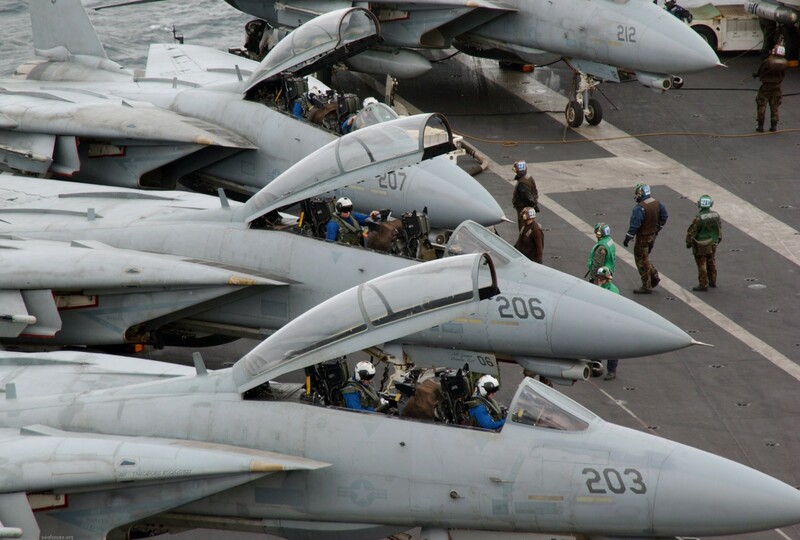 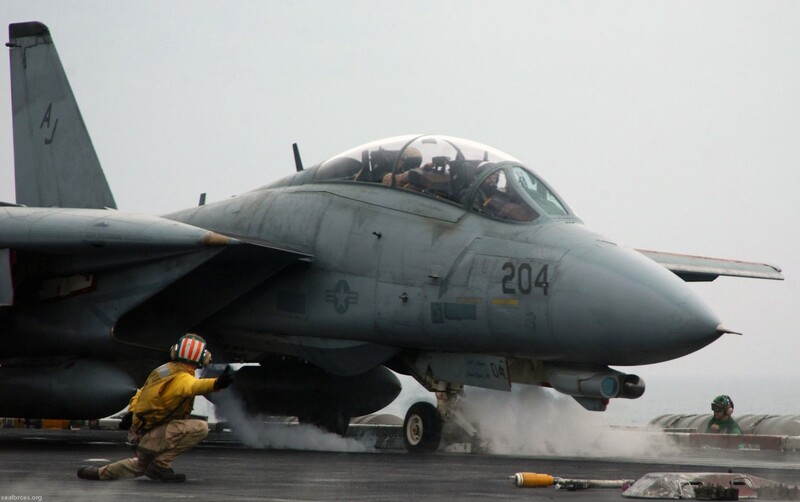 The squadron deployed for the second time aboard USS ABRAHAM LINCOLN in 1993 and participated in Operation SOUTHERN WATCH over Iraq and Operation RESTORE HOPE in Somalia. 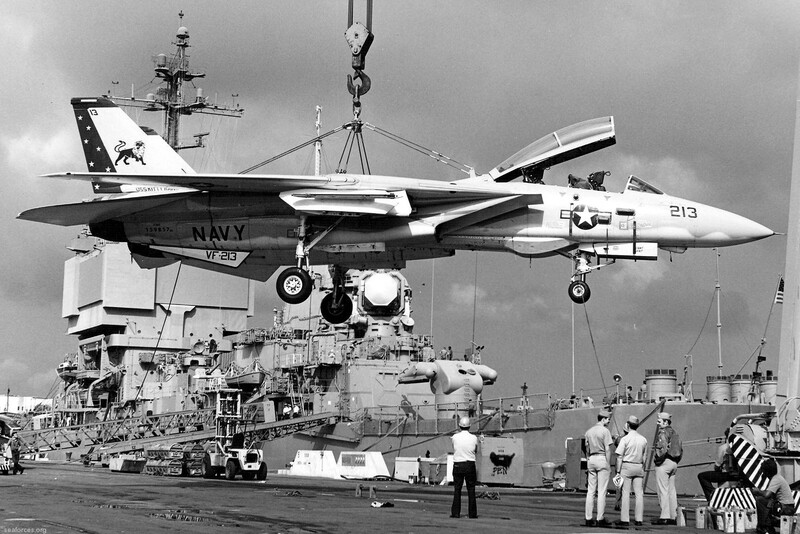 Upon their return, VF-213 began a turnaround for their next deployment, during which they again won the “MUTHA” award. 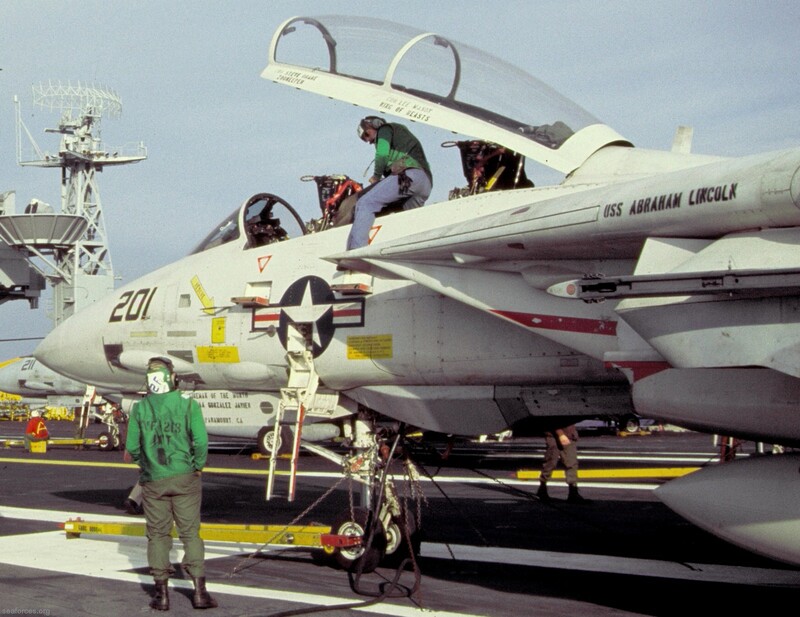 In 1995, the BLACKLIONS again deployed aboard “ABE” in support of Operation SOUTHERN WATCH. 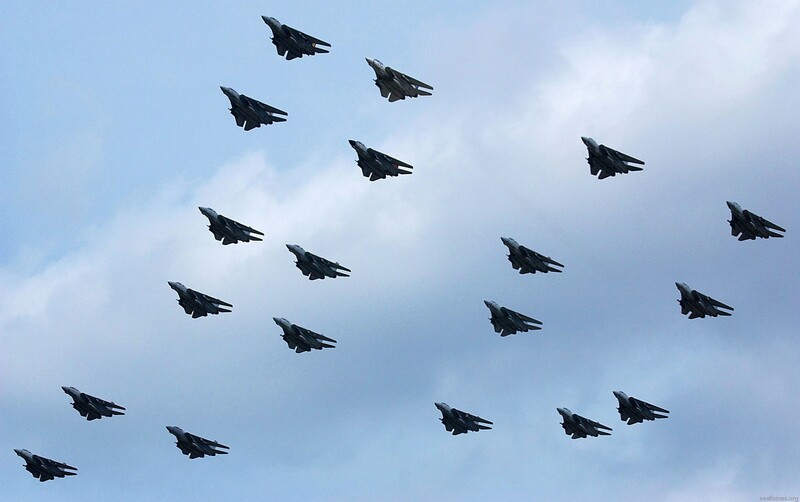 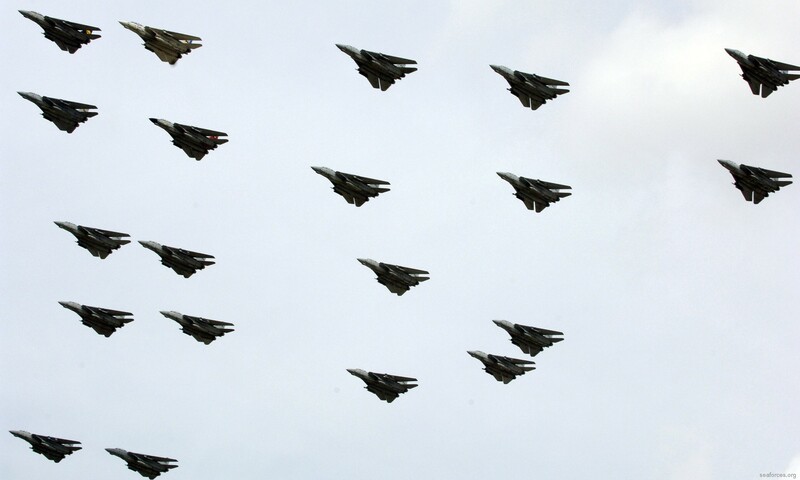 The maintenance department was showcased, as all fourteen Tomcats assigned were airborne at one time over Iraq and Kuwait. 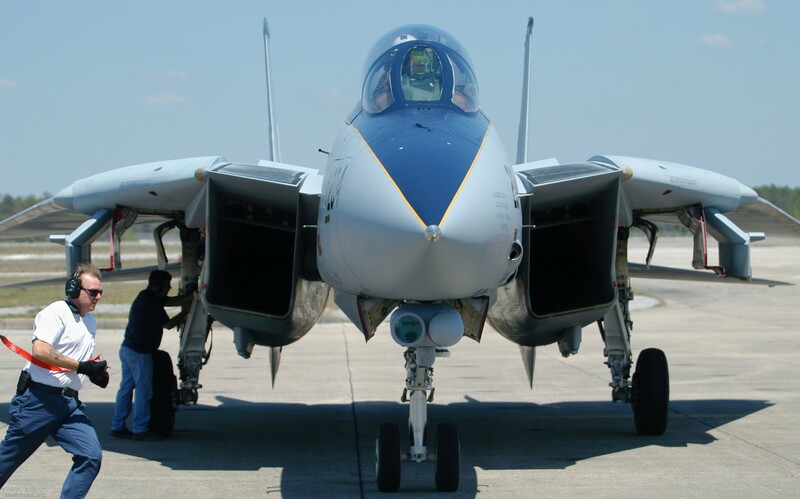 In 2004, VF-213 again earned high honors as the winners of the “BOOLA BOOLA” award for excellence in maintenance and employment of Air-to-Air ordnance. 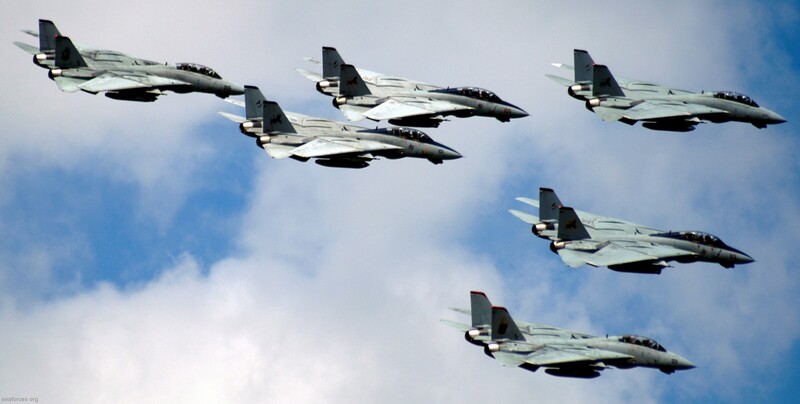 The squadron deployed for a second time in support of OIF in September 2005. 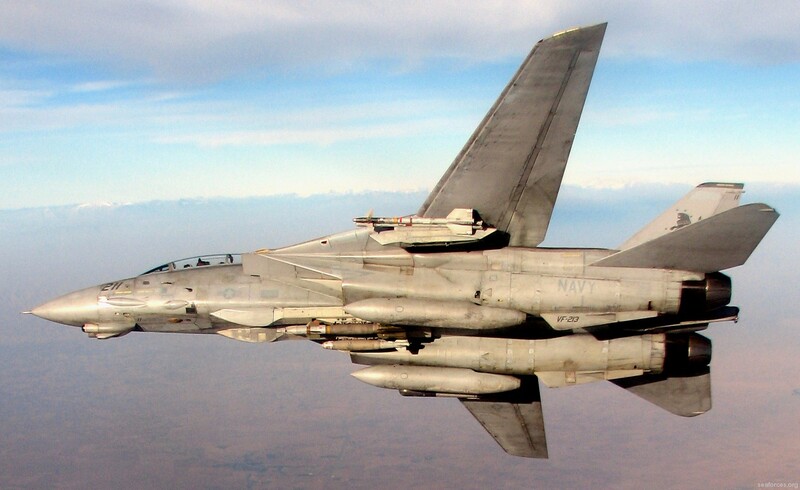 Flying over 3,500 combat hours in 581 combat sorties, the BLACKLIONS dominated the air over Iraq dropping over 5,000 pounds of precision guided ordnance. 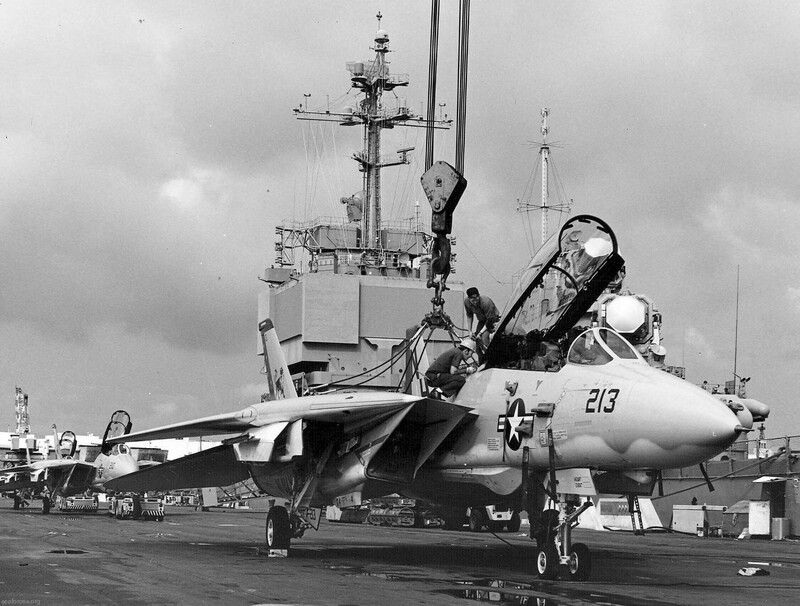 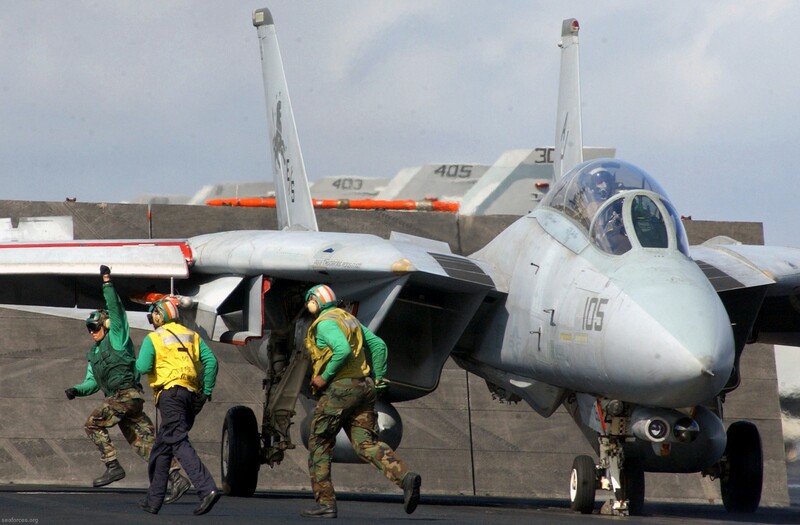 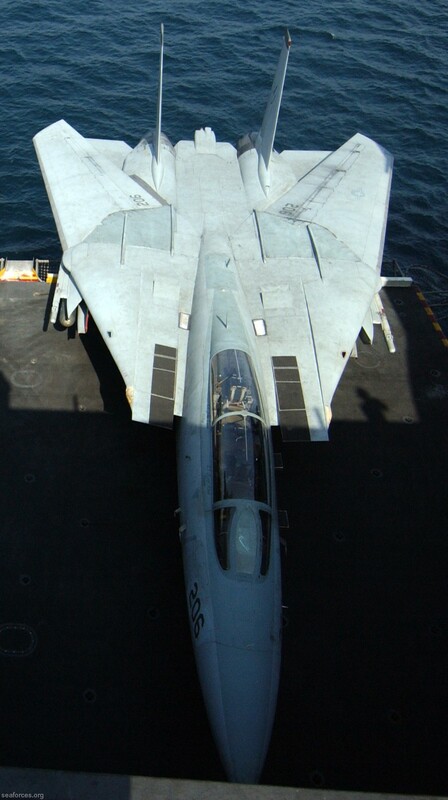 VF-213 also pioneered a new technology for the Tomcat in Remote Operated Video Receiver (ROVR) capability. 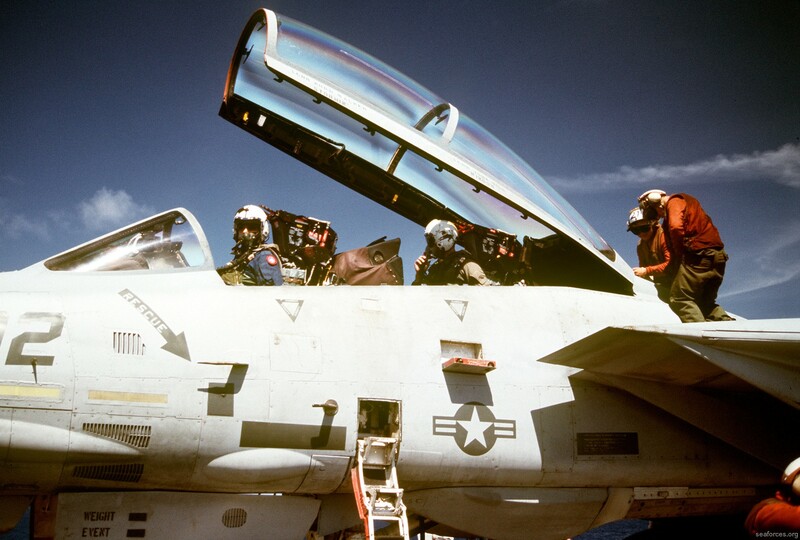 This allowed the troops on the ground to see the Tomcat’s infrared display from the cockpit real time. 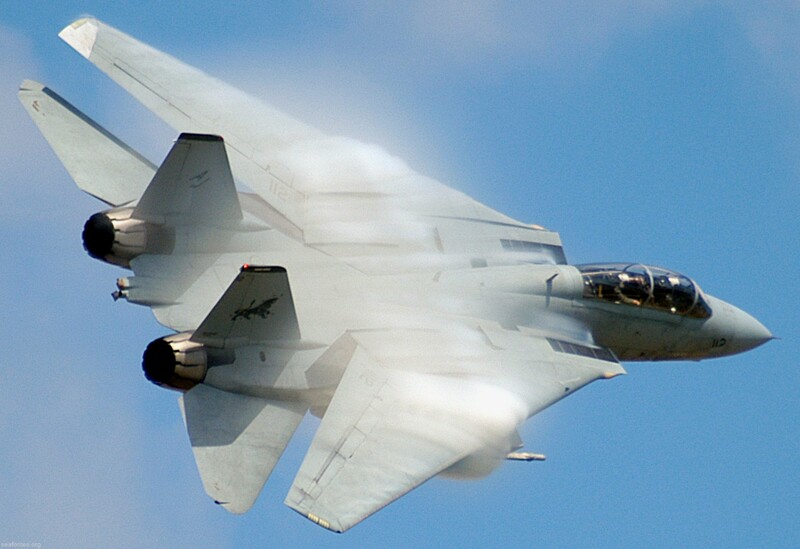 Soon after, this ability became a requirement for all strike aircraft operating in Iraq. 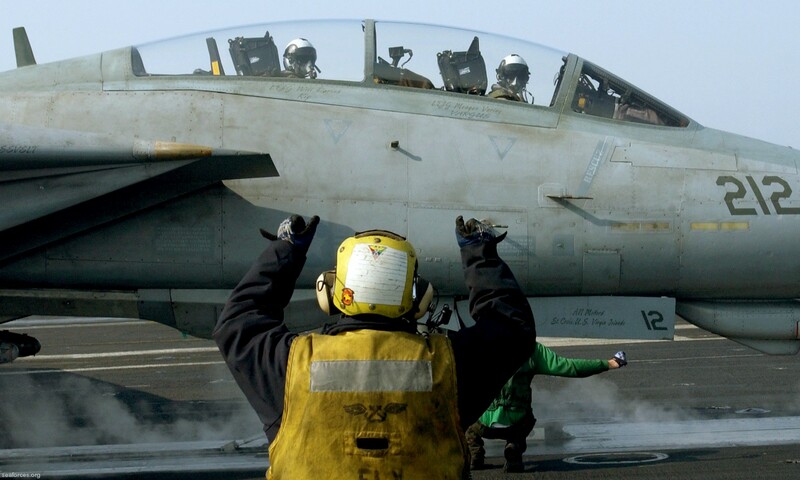 On March 10, 2006, the BLACKLIONS marked the end of an era. 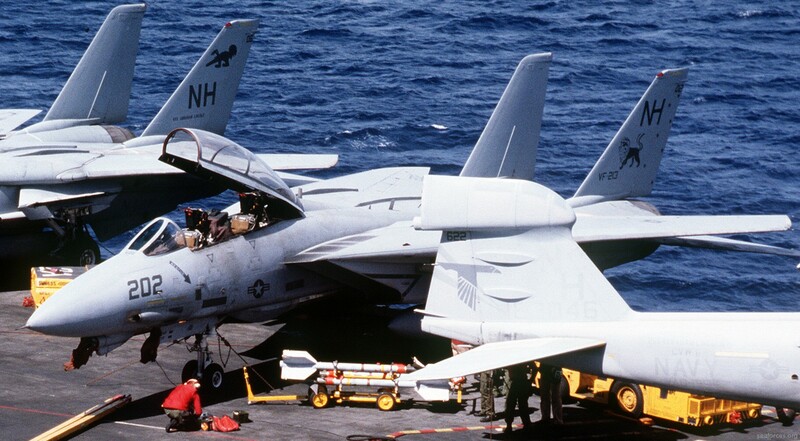 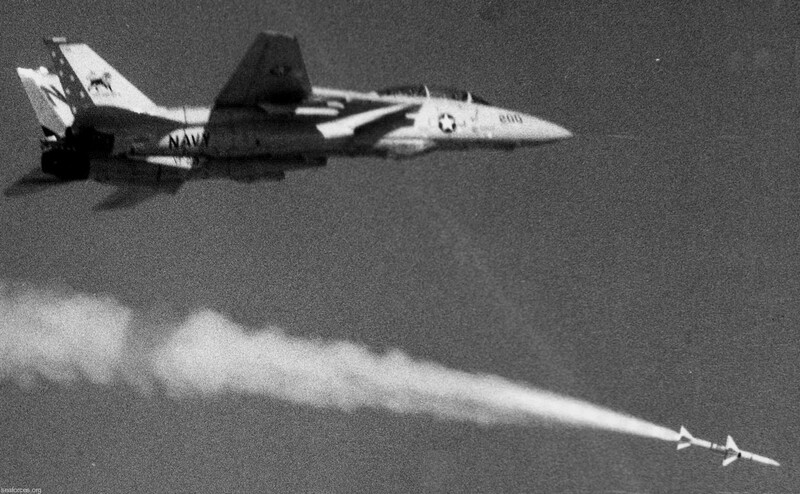 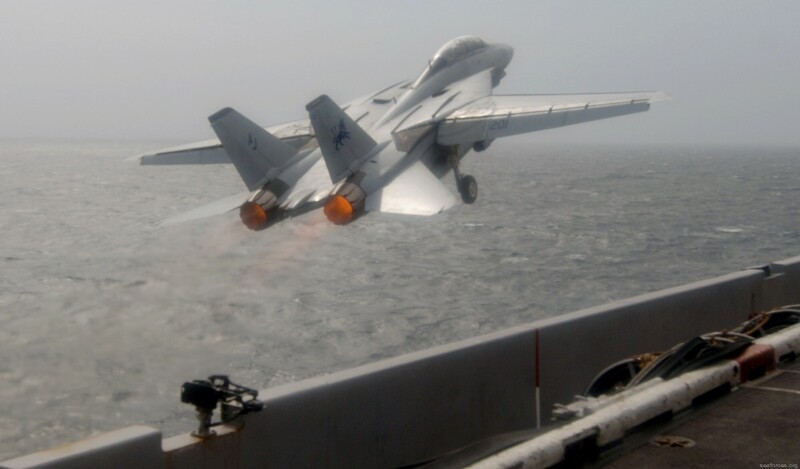 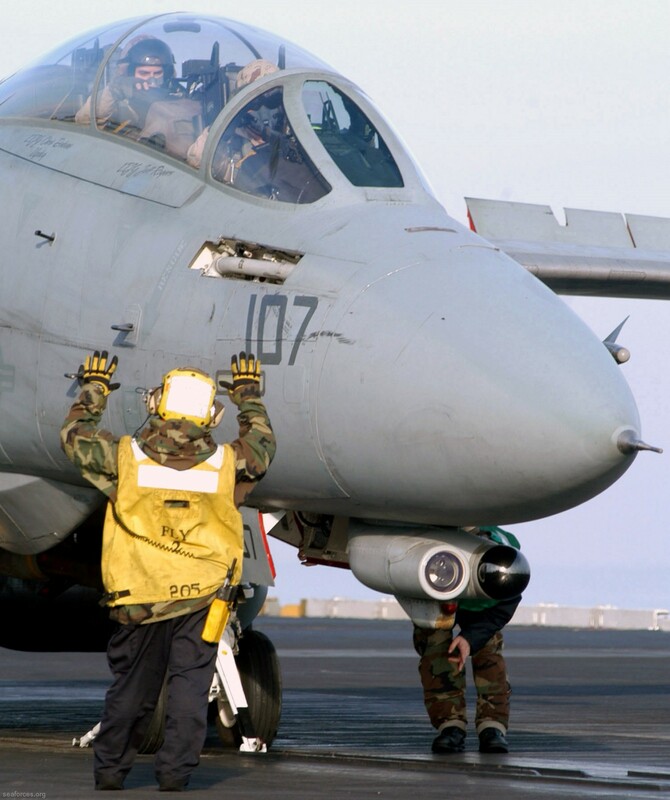 Their “fly-off” from cruise back to NAS Oceana featured the last operational flight of the F-14D Tomcat. 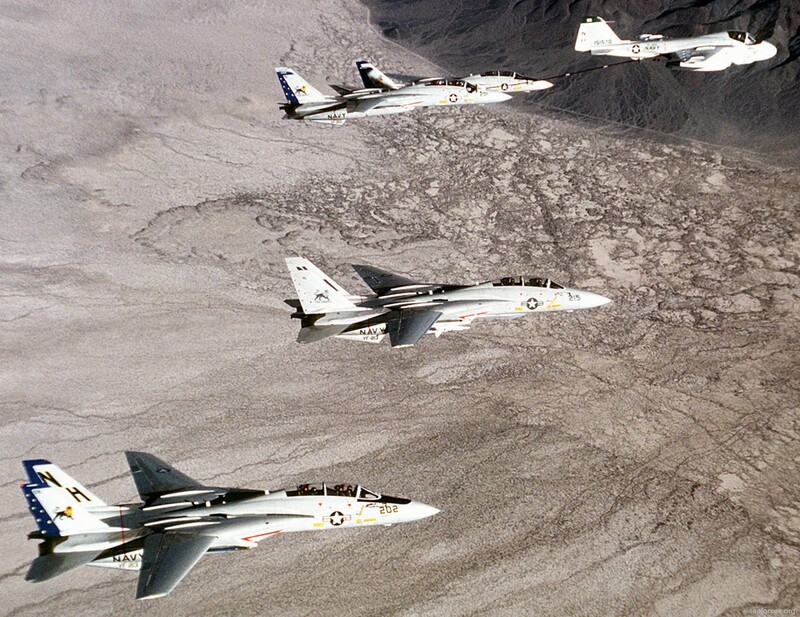 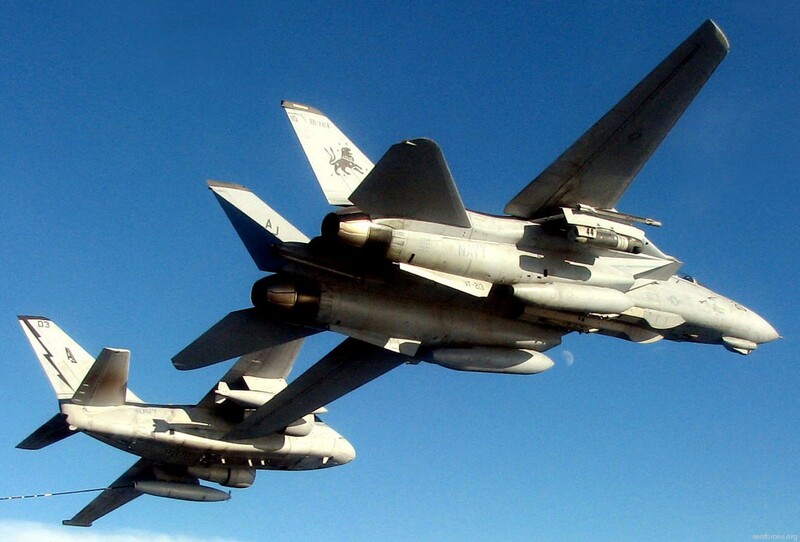 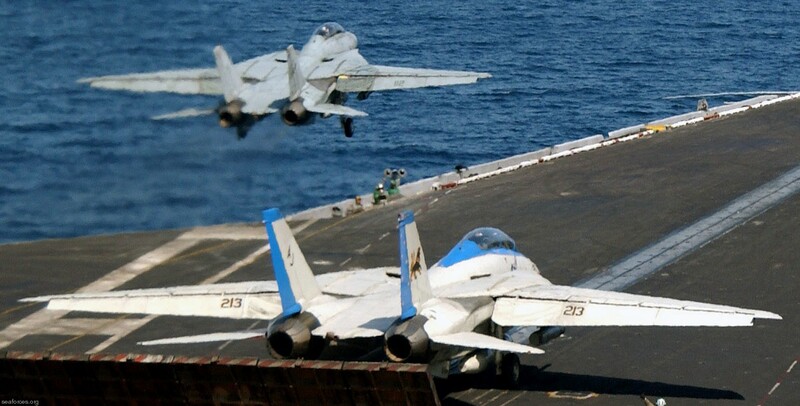 In a 22-jet formation, VF-213 and VF-31 closed the book on the Tomcat being an asset in the US Navy arsenal. 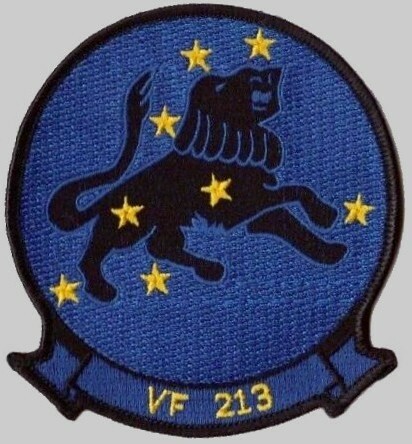 The BLACKLIONS were re-designated VFA-213 on April 2, 2006 as they transitioned to the F/A-18F Super Hornet.